Multicolor charted design for wide border or center insertion strip of lozenges. 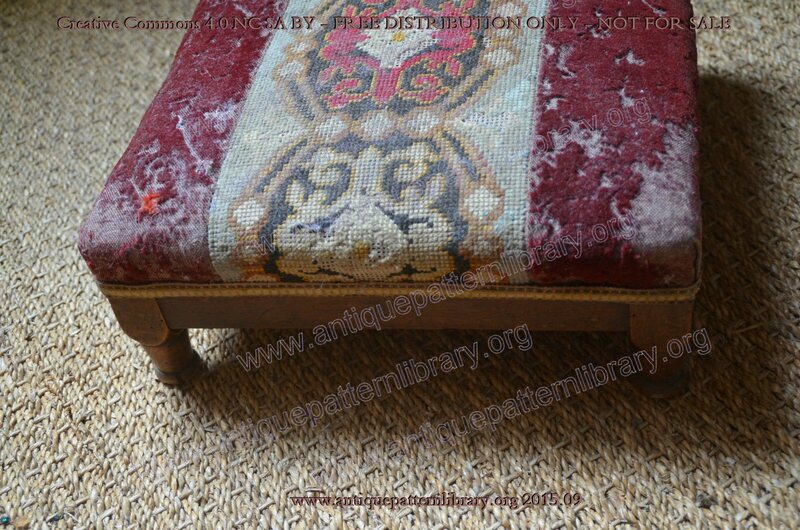 Adapted from velvet covered footstool (also pictured). Original was in Berlin woolwork or needlepoint. Images donated by ebay seller jennysfrenchboudoir, pattern reconstructed by Sytske Wijnsma.